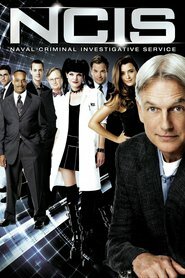 Living… in Washington D.C. Ziva was initially sent to America from Israel in order to assist the Navy Criminal Investigative Service (NCIS) in the capture of her half-brother Ari Haswari, a suspected terrorist. She now considers herself loyal to both America and Israel. Profession… Mossad operative. Ziva volunteered to join the Israeli intelligence agency as soon as she came of age. She particularly specialized in assassinations, psychological warfare, and sabotage before she came to work as an officer for NCIS. Relationship Status… single, for now. She’s involved in an extended campaign of flirtation with Agent DiNozzo, an immature (yet charming) detective. Ziva and DiNozzo like each other, but they’re both far too proud to admit it. They find it more fun to play cat-and-mouse games than to actually acknowledge their mutual attraction. Challenge… waging the war on terror, wherever she may be. Whether at home in Israel or working in the United States, Ziva knows the horrors of terrorism all too well. She lost her sister in a Hamas-directed suicide bomb attack at the age of 16. Personality… strong, tough, and playful. Ziva is a battle-hardened warrior who is always ready to jump in and protect herself and her country at a moment’s notice, but that doesn’t mean that she’s incapable of lighthearted banter. She easily matches DiNozzo in her flirtatiousness. Ziva David's popularity ranking on CharacTour is #1287 out of 5,000+ characters. See our top-ranked characters and read their profiles.